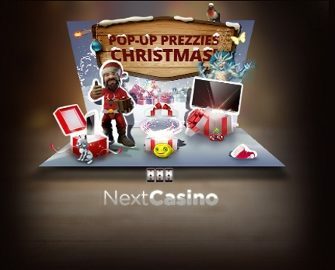 Next Casino – Christmas Pop-Up Prezzies! 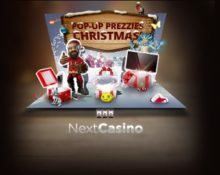 Enjoy a month-long festive celebration at Next Casino where Free Spins, surprise gifts, iPhones and OLED TVs will be popping up all over the place. Log-inn every day to complete a casino challenge and receive your present the following day. Wager on selected games to earn tickets to the weekly raffle for iPhone’s and at the same time race to the top of the Christmas leader board to win a LG OLED TV. 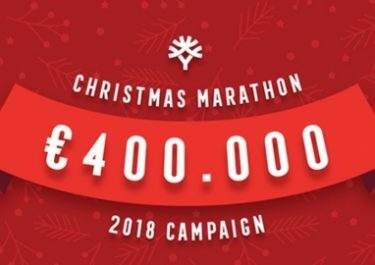 Next Casino, together with Casino Luck and Wild Slots, have just launched their Christmas campaign, running all the way to Christmas Day. 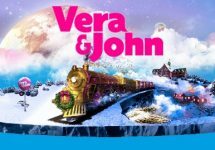 In a multi-stage fashion, players can unlock daily challenges and rewards as well as earning tickets to weekly raffles and racing to the top of the Christmas leader board with a LG OLED TV as the first prize. Log-in every day to find a new challenge and surprise gifts. Complete the challenge to receive a Free Spins gift the following day. 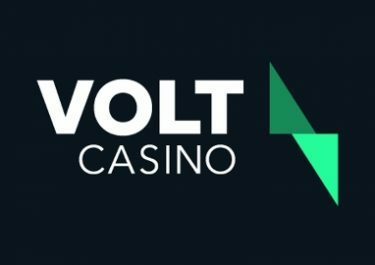 Wagering requirement is 50x FS winnings, subject to the Next Casino bonus terms and conditions. Launched in 2011, the casino is owned by the acclaimed Minotauro Media Ltd and starting May 2017 is operated on the Aspire Global International LTD platform under MGA Malta and UK Gambling Commission licenses. On offer are a huge 1,000+ games on desktop, mobile and tablet from Netent, Microgaming, Amaya, Betsoft, Elk Studios, Fantasma Games, NYX Interactive, NeoGames, Quickspin, Play’n Go, WMS and ISoftBet while the LIVE Casino tables are provided by Netent Live and Microgaming.